Faculty of Pharmacy, Integral University, Kursi Road, Dasauli, Lucknow - 226026, Uttar Pradesh, India. ABSTRACT: Alterative medication and natural remedies have been used from ancient time for the treatment and wellbeing of human. Medicinal plants are considered to be effective and for most important for the human health. Some of the natural medicinal plants are so common that we use them in daily life without knowing their medicinal importance. Annona squamosa belonging to the family Annonaceae is the best example of it. It is a multipurpose tree with edible fruits. Its fruits are commonly known as custard apple which is eatable. The pulp can be used as flavouring in ice cream. Between 50-80% of the fruit is edible. The Vitamin C content is appreciable (35-42 mg/100 g) and slightly higher than in grapefruit. The nutrient value of thiamine, potassium and dietary fiber is also significant. It is reported to contain various chemical compounds such as alkaloid, isomeric hydroxyl ketones from leaf, acetogenin, samaquasine, annonacin and annonastatin from seeds, acetogenin, squamone from bark of it. Various studies have been reported as an antibacterial, antidiabetic, antitumor, anti-malarial, anthelmintic, anti-genotoxic potential and hepatoprotective activity. The leaves are used as a vermicide, for treating cancerous tumors, also applied to abscesses, insect bites and other skin complaints. The crushed leaves were sniffed to overcome the hysteria and fainting spells, and they were also applied on the ulcers and wounds. Scrapings of root-bark are used for toothache. Powdered seeds are used to kill head-lice and fleas but care should be taken that the powder does not come in contact with the eyes as this causes great pain. The crude extracts of different parts and pure isolated phytoconstituents of its fruits was reported to acquire anti-diabetic, antiviral, antioxidant activity, respiratory stimulant, during pregnancy and diuretics properties, very useful for the improvement of the immune system, nervous system and also for the development of the brain in the fetus. Sitaphal can be the most effective remedy of choice for various diseases and this new research will definitely help mankind to lead a disease free and healthy life. INTRODUCTION: Management of poor health through medication has entered an era of rapid growth. The plant kingdom still holds different unknown species, containing chemical constituents of therapeutic and nutraceutical value, which have yet to be revealed. Fruits and vegetables are a ‘treasure house’ for a catalog of nutritional compounds. The modern pharmaceutical industries need a large quantity of genuine plants for the manufacturing of drugs. Extraction of active constituents and production of drug formulations is a sophisticated technology and assets intensive with attractive remuneration. Annona squamosa Linn. (Annonaceae) is a small, semi-deciduous tree, 3 - 7 m in height, with a broad, open crown or irregularly spreading branches, widely available in India. Different parts of plant like fruit, leaves, bark, and root are used in the treatment of various diseases and famed for its medicinal and nutraceutical values. It is native to the New World Tropics, particularly northern South America - Columbia, Ecuador, and Peru. It was cultivated by natives in the Andes and was first planted in California in 1871 1, 2. It is believe that it was first introduced into Brazil-“fruta do conds” It is later taken to the Philippines and Asia via West Indies. In India, there is very large and good commercial importance so considered as native fruit of that country. However, this is a secondary centre of diversity, created during the last 500 years. This fruit has an interesting history attached to it in respect to its name i.e. Sitaphal. Mythologically it is said that Sita, wife of Lord Rama during her Vanvaas used to eat this fruit. While some texts says that when Ravana was abducting Sita, at that time the drops of tears from her eyes and nose fell onto the ground and they gave birth to Sitaphal trees in the wilderness. Although, many people believe that sitaphal has nothing to do with Sita. Its origin is in Sanskrit i.e. “sheet” in hindi means cold and “phal” is fruit and having excess of it can give you cold and also it has a cooling effect on your body so hence the name is Sitaphal. Annona is semi- evergreen shrub specie of Annona and native to the tropical America and India. It is a fast growing tree producing compound, 6 - 10 cm diameter fruits with a thick, scaly or knobby skin that gives them a pine-cone appearance, commonly known as ‘Custard apple’ Sharifa or Sitaphal and Krishnaguru in Sanskrit. It is widely distributed in the tropics and abundantly in the eastern regions of India. It is a terrestrial coarse-gained, woody, deciduous, perennial tree with characteristic odor rough, ash gray colored bark with visible leaf scars and smooth to slightly fissured into plates, inner bark light yellow and slightly bitter, twigs become brown with light brown dots. The leaves are brilliant green above and bluish green below; with petioles 0.7 to 1.5 cm; elliptical ovate to lanceolate; lamina measures about 10 × 5 cm; alternated to spirally arrange with zigzag pattern. Flowers of the plant is 2.0 to 2.5 cm; somewhat fragrant, solitary or in fascicles with 2 to 4 flowers, with three green sepals and six petals arranged in two containers. The flowers have several conglomerated and spirally arranged stamens below and around an upper globes shaped dome of numerous united carpels. The fruit flesh is fragrant, sweet, and white to light yellow, with the texture. Fruits are divided into 20 - 38 segments, each generally containing a hard, shiny brownish-black, seed, enmeshed in the flesh, although some trees produce seedless fruit. The fruits are generally eaten fresh, or used to make juice beverages or sorbet, and are a good source of iron, calcium, and phosphorus 3. Seeds are shiny brownish-black, black color with ovoid shape, numerous scattered over the white pulp. The genus name, Annona is from the Latin word ‘anon’, meaning ‘yearly produce’, referring to the production of fruits of the various species in this genus. Annonaceae, the custard apple family 4 are a family of flowering plants consisting of trees, shrubs, or rarely lianas 5. The family is concentrated in the tropics, with few species found in temperate regions. About 900 species are Neo-tropical, 450 are Afro-tropical, and the other species Indo Malayan 6. Under Annonaceae family 130 genera are available, out of that genera are widely available Annona, Anonidium, Rolliania, Uvaria, Melodorum, Asimina, Stelechocarpus 7, 8. At present, many commercial fruit products are exist in the market hence the present review will probably act as connection between nutraceutical food and industrial pharmaceutical potentials of Annona squamosa 9. Traditional Uses: Traditionally itisused as an insecticidal and antitumor agent, anti-diabetic, antioxidant, anti -lipidemic, and anti-inflammatory agent which may be characterized due to the presence of the cyclic peptides. An infusion with 2 handfuls of fresh leaves in 1 lit of water is prepared to fight against heart failure and palpitations (1 cup after meal). This infusion is also effective for proper digestion and has antispasmodic activities. The seeds are reported to have anti-parasitic activities (against lice). A cream consisting of 3 cl bee wax, 12 cl almond oil, 3 cl coconut oil, 6 cl of water, 6 cl glycerin, and 1 handful of crushed plant’s seeds is prepared and heated over a water bath for 3 h before applying to the hair. In India the crushed leaves are applied on ulcers and wounds and a leaf decoction is taken in cases of dysentery. In Aligarh district of Northern India, villagers used to consume a mixture of 4 - 5 newly grown young leaves of Annona squamosa along with black pepper (Piper nigrum) for management of diabetes. It is documented that this may ensure up to 80% of the positive results with continued therapy. The bark decoction is given as a tonic and to halt diarrhea. Throughout tropical America, a decoction of the leaves is imbibed either as an emmenagogue, febrifuge, tonic, cold remedy, digestive, or to clarify urine. The leaf decoction is also employed in baths to alleviate rheumatic pain. Sitopaladi churna is an ayurvedic medicine for cough and cold and sneezing nose. Administration of the aqueous extract of the leaves also improved the activities of plasma insulin and lipid profile and reduced the levels of blood glucose and lipid peroxidation, indicating that the high levels of triglyceride and total cholesterol associated with diabetes can also be significantly managed with the extract. The bark leaves and roots of some species are used in folk medicines. The strong bark is used for carrying burdens in the Amazon Rainforest and for wooden implements, such as tool handles and pegs 7. The wood is valued as firewood yellow and brown dyes 8. A recent study suggests that the alcoholic seed extract contains anticancer compounds 10. Leaf extract have anti- nociceptive effect 11. Roots were found to have anticonvulsant effect 12. In Mexico the juice is used for chills and fever 13. Pulp was found to have mutagenic property 14. It is mainly used as ornamental plant and it is cultivated along with banana plantation. It is an orange skin fruit native of Brazil, it is rarely available 15. Leaves are used to treat hysteria, fainting spells and juice is used as vermifuge. Unripe dried fruits used in diarrhea and dysentery treatment. Root, bark is used in toothache. Seeds leaves, young fruits have got insecticidal activity. Seeds are used in folk for their insecticidal activity, parasitic activity 16. Roots are reported to have apomorphine alkaloids: Reomerine, annonine and dehydroreomerine produce skeletal muscle relaxant effect. Yellow resin extracted from seeds exhibits sympathetic action such as dilatation of pupil, dryness of mouth, decreases secretions. It is found to have in-vitro, in-vivo studies exhibiting anti-tumor activity 17. Fruits and fruit juice are taken for worms and parasites, to cool fevers, to increase mother's milk after childbirth, as an astringent for diarrhea and dysentery. The crushed seeds are used against internal and external parasites, head lice, and worms. The bark leaves, and roots are considered sedative, ulcer treatment and a nervine tonic and a tea is made for various disorders towards those effects 18. Leaf decoction is used in the treatment of cold, cough, intestinal infections and acidity condition. Bark decoction is used in diarrhea, roots are used in dysentery. Fruit is used in making of ice creams and milk beverages 19. Crushed leaves are used in internal and external wounds, boils and in gastritis. Phytochemistry: The custard apple is very sweet contains up to 28% sugar in which sucrose 2.53% dextrose 5.05% percent and laevulose 0.04%with aromatic flavours. It contains significant quantities of Vitamin C, iron, calcium, thiamine, amino acid, potassium, carotene, riboflavin, niacin and ascorbic acid, magnesium and dietary fibres. Despite its high sugar content, the glycemic index of custard apple is low and the glycemic load moderate. Specific chemicals extracted include aliphatic ketones like palmitone. Organic acids like hexanoic and octanoic acid and purines 20. GC-MS analysis of leaf oil yielded 59 compounds. Main components were β-caryophyllene (31.4%) (natural bicyclic sesquiterpene) δ-cadinene (6.7%), α-muurolene (5.5%), α-cadinol (4.3%) and isoquinoline alkaloids. Two acetogenins, annoreticuin and isoannoreticuin isolated from the leaves, were found to be selectively cytotoxic to certain human tumors. The leaves and stems also gave alkaloids dopamine, salsolinol and coclaurine. Others are anonaine, aporphine, coryeline, isocorydine, norcorydine, and glaucine 21. The alkaloid isolated from the plant was samoquasine, aporphine, benzylisoquinoline, protoberberine and tetrahydro isoquinoline. Other constituents of plant are oxophoebine, reticuline, atidine, histisine, hetidine, hetisine, heterophyllisine, heterophylline, heterlophylline, isoatisine, dihydroatisine, hetisinoneand benzoyl heteratisine. In root and stem, bark oxoaporphines compound like liriodenine, oxoanalobine were identified by NMR spectra. Different chemical constituents like borneol, camphene, camphor, car-3-ene, carvone, β-caryphyllene, eugenol, farnesol, geraniol, 16- hetriacontanone, hexacontanol, higemamine, isocorydine, limonine from stems root extracts of plant 22. Stem bark yielded one acetogenin, solamin, two triterpenoids, stigmasterol, sitosterol and different bullatacin, bullatacinone. About 30 acetogenins were isolated from the seeds squamocins B to N, coumarinoligans, annotemoyin-1, annotemoyin-2, squamocin and cholesteryl, glucopyranoside. These compounds showed remarkable antimicrobial and cytotoxic activities 23, 24. Antioxidant Activity: The free radical scavenging potential of the leaves of Annona squamosa Linn. was studied by using different antioxidant models of screening. The ethanolic extract at 1000 μg/ml showed maximum scavenging of the radical cation 2, 2-azinobis- (3- ethylbenzothiazoline- 6-sulphonate) (ABTS) observed up to 99.07% followed by the scavenging of the stable radical 1, 1-diphenyl, 2-picryl hydrazyl (DPPH) (89.77 %) and nitric oxide radical (73.64%) at the same concentration. However, the extract showed only moderate scavenging activity of superoxide radicals and anti-lipid peroxidation potential, which was performed using rat-brain homogenate. The findings justify the antioxidant activity of plants. A study was carried to analyses the antioxidant effect of oral administration of aqueous extract of plant’s leaf on blood glucose, hemoglobin, glycosylated hemoglobin, plasma insulin, antioxidant enzymes and lipid peroxidation in liver and kidney to streptozotocin (STZ)-induced diabetic rats. Oral administration of aqueous extract to diabetic rats for 30 days significantly reduced the levels of blood glucose, lipids and lipid peroxidation, but increased the activities of plasma insulin and antioxidant enzymes, like catalase, superoxide dismutase, reduced glutathione and glutathione peroxidase. It conclude that the aqueous extract supplementation is useful in controlling the blood glucose level, improves the plasma insulin, lipid metabolism and is beneficial in preventing diabetic complications from lipid peroxidation and antioxidant systems in experimental diabetic rats. Results from previous studies showed that polar extracts were found to be better free radical scavengers compared with those less polar. The leaves extracts of the two parts showed high flavonoid content 25. Anti-tumor Activity: The plant Annona squamosa traditionally known as custard apple possesses potent bioactive principles in all its parts. The effectof aqueous and organic extracts from defatted seeds of plant was studied on a rat histiocytictumor cell line AK-5. Both the extracts caused significant apoptoictumor cell death with enhance caspase-3 activity. Down regulation of anti-apoptotic genes Bcl-2 and Bclxi and enhance the generation of intracellular ROS, which correlated well with the decreased levels of intracellular GSH. In addition DNA fragmentation and annexin–V staining confirmed that the extracts induced apoptosis in tumor cells through the oxidative stress. Aqueous extract of plant’s seeds possessed significant antitumor activity in-vivo against AD-5 tumor. The plant seed extract have shown, in previous studies, significant anti-tumor activities against human hepatoma cells in-vitro and in-vivo, indicating a potential for developing the extract as a novel anti-cancer liver drug. Aqueous extracts of the seeds possess significant anti-tumor activity in-vivo against AD-5 tumor 26. Antimalarial Activity: The significant activity demonstrated by extracts of Annona squamosa suggests that the two plants may have strong killing effects against insects particularly mosquitoes, hence giving a promising source of larvicidal agents. The EtOAc fractions of plant were the most active achieving 100 to 90% mortality at 50. In order to determine the active principles in the EtOAc fraction further larvicidal testing of the three sub fractions Sq-1, Sq-2, Sq-3, for plant showed a dose dependant (p≥ 0.05) but also significantly a decreased activity from its parent fraction at the same concentration levels. This indicates that, several medium polar compounds in the extract are acting synergistically or competitively at the active sites. Plant collected from brazil indicated larvicidal effect against Aedes adopictus and C. quinquefascinits and against Anopheles stephensi. Present larvicidal activity result supports the reports and demonstrated that extract of Annona species are potential anti-mosquito agents. In the recent studies on Annona squamosa all compounds showed moderate activity against a chloroquine sensitive strain and a chloroquine resistant strain of Plasmodium falciparum 27. Anthelmintic Activity: The anthelmintic activities of the Annona squamosa and its leaf extract have been studied using various models. The hexane, ethyl acetate, ethanolic extracts of the crude drug at different concentrations were tested which involve determination of paralysis time and death time 28. Anti-genotoxic Effect: The antigenotoxic effects of aqueous and ethanolic bark extracts of Annona squamosa was assessed by determining the frequency of micronucleated polychromatic erythrocytes (MnPCEs) and chromosomal aberrations. The frequency of MnPCCs and chromosomal aberrations in bone marrow were higher in DMBA treated animals as compared to control animals. Oral administration of aqueous and ethanolic bark extracts significantly reduced the frequency of MnPCEs and chromosomal aberration in DMBA treated hamsters. Although both extracts have shown anti-genotoxic effects, the effects of ethanolic extract was found to be more prominent than the aqueous extract. The present study demonstrates the anti-genotoxic effects of plant’s bark extracts in DMBA induced genotoxicity in Golden Syrian hamsters. Studies on the genotoxicity potential of plant have shown that the plant extract treatment significantly altered serum enzyme levels in oxidative stress conditions 29. Antiulcer Activity: A synthetic compound namely 1-(4-β-D-glucopyranosyloxyphenyl) – 2 - (β – D -glucopyranosyloxy)-ethane was isolated naturally first time from the Annona squamosa twigs. The compounds which were isolated from the twig of plats were subjected to screening for antiulcer activity. Models used for the screening were cold restraint, pyloric ligation, aspirin, alcohol induced gastric ulcer and histamine induced duodenal ulcer model. The result was compared with the standard drug omeprazole. The result for the screening concluded anti-secretory activity in-vivo through reduced, total acidity and pepsin in pyloric ligation, confirmed by in-vitro inhibition of H (+) K(+)-ATPase activity with corresponding decrease in plasma gastrin level. Cytoprotection of plant was apparent with protection in alcohol induced, aspirin models and enhanced mucin level in pyloric ligation model 30. Hepatoprotective Activity: Aqueous and alcoholic extract of leaves were used for the screening of hepatoprotective activity. The study was performed on Wistar strain of rats. Induction of experimental hepatotoxicity was induced using isoniazid and rifampicin, the standard drug silymarin was used for the reference. The result was significant decrease in total bilirubin along with significant increase in the level of total protein and also significant decrease in ALP, AST, ALT and γ-GT in treatment group as compared to the hepatotoxic group. In the histopathological study the hepato-toxic group showed hepatocytic necrosis and infla-mmation in the centrilobular region with portal triaditis. The group of animal treated with extract showed minimal inflammation with moderate portal triaditis and their lobular architecture was normal. It should be concluded that the extracts of Annona squamosa were not able to cure completely hepatic injury induced by isoniazid and rifampicin, but it could restrict the effect of these drugs in liver 31. Anti-Bacterial and Wound Healing Activity: In the above study leaves of the plant were exhaustively extracted by Soxhlet apparatus with different solvents like petroleum ether, solvent ether, chloroform, alcohol and chloroform water in ascending order of the polarity. All the five extracts were subjected to antibacterial screening by using the cup plate method. The petroleum ether, alcoholic and chloroform water extract showed maximum zone of inhibition. So these extracts were taken for wound healing activity. The petroleum ether extracts of Annona squamosa leaves were used in all models showed significant results. All the results were significant for different parameters in wound healing activity when compared with control group 32. Anti-arthritic, Anti-inflammatory and Analgesic Activity: The above activities were screened using combined extract of Annona squamosa and Nigella sativa was evaluated and validated in various animal models. Arthritis was induced by Complete Freund`s Adjuvant (CFA) injection in metatarsal footpad of Sprague-Dawley rats. Degree of inflammation was evaluated by hind paw swelling and body weight, estimation of AST, ALT and TP supported by histopathology of knee joint. The result of combine extract was significant decrease in paw volume, increase body weight and reduction in elevated levels of ALT, AST and TP. For anti-arthritic activity the histopathological reviled the fact that there was significant reduction in neutrophils infiltration, pannus formation and bone of the animal treated with plant extract. The extract reviled that it has analgesic and anti-inflammatory activity in dose dependent manner when compared to comparable with the reference standard drugs, pethidine sulfate and indomethacin 33. Anti-HIV: There was a positive result exhibited by the extract of Annona squamosa when evaluated for anti HIV screening. In the above study new chemical compound have been named and isolated. The structures of the new compounds were established by spectral analyses and chemical evidence. Among the 14 isolated compounds in the study16β, 17-dihydroxy-ent- kauran-19-oic acid showed significant activity against HIV replication in H9 lymphocyte cells with an EC50 value of 0.8 µg/ml 31. Cytotoxic Activity: Two new compounds have been isolated and were evaluated for the above activity. The extract of seed was used for the isolation of the compound. The study was carried out against HCT, human lung carcinoma (A-549), human breast carcinoma (MCF-7), and human prostate adenocarcinoma (PC-3) with adriamycin as positive standard using MTT method. Antimicrobial Activity: The antimicrobial activity was evaluated using four solvent extract. Agar diffusion method was selected to check antibacterial activity. Two Gram positive (Staphylococcus aureus and Bacillus subtilis) and two Gram negative (Escherichia coli and Pseudomonas aeruginosa) bacteria were selected for screening. The screening results showed that highest zone of inhibition was observed in methanol extract against Aeruginosa (MIC: 130µg/ml) followed by petroleum ether extract against Aeruginosa (MIC: 165 µg/ml) and methanol extract against E. coli (MIC: 180 µg/ml) 34. To evaluate the antibacterial activity another study was performed using three different solvent extracts of leaf of Annona squamosa and Annona reticulate. Agar cup and broth dilution methods were selected to test antibacterial activity using three Gram-positive (Bacillus subtilis, Staphylococcus aureus and Staphylococcus epidermidis) and five Gram-negative (Escherichia coli and Pseudomonas aeruginosa, Salmonella typhi, Vibrio alginolyticus, Vibrio cholerae) bacteria. The screening results showed that highest inhibition was observed by the methanol extract followed by petroleum ether and aqueous extracts for both Annona squamosa and Annona reticulata leaf. Bacillus subtilis, Staphylococcus epidermidis, Staphylococcus aureus and Vibrio alginolyticus are the most sensitive bacterial strains among all test organisms. None of the plant extracts showed growth of inhibition against Salmonella typhi 35. Hypoglycemic and Anti-diabetic Activity: The ethanolic extract of Annona squamosa leaves when administered orally to the normal as well as the streptozotocin (STZ)-induced diabetic rats and alloxan-induced diabetic rabbits at different dose, proved that the dose of 350 mg/kg body weight was found to reduce the fasting blood glucose (FBG) level by 6.0% and the peak blood glucose during the glucose tolerance test (GTT) was also reduced by 17.1% in the normal rats. The same dose of the ethanolic extract has reduced the FBG level by 26.8% and also improved the glucose tolerance by 38.5 and 40.6% during the GTT in alloxan-induced diabetic rabbits. In STZ-diabetic rats, there was a fall of 13.0% in FBG and was an improvement in the glucose tolerance by 37.2 and 60.6% was observed during GTT11. In the same way, the aqueous extract of the roots of plant at a dose of 250 mg/kg and 500 mg/kg body weight was tested for the antidiabetic activity in the Streptozotocin (STZ) - induced hyperglycemic rats which cause a reduction in the blood glucose in STZ- induced diabetic rats from 285.52 to 208.81 mg/dl 36. Larvicidal Activity: Mosquitoes possess a great threat to the human health by means of the transmission of the serious diseases. Development of the resistance, cross-resistance, and also the rising cost as well as the possible toxicity hazards arises due to the synthetic insecticides usage were some of the reasons lead to the interest in the discovery of plant based products in the recent years. The larvicidal and the growth regulating activities of Annona squamosa was reported against A. stephensi and other mosquitoes. The high potency of Annona squamosa as a larvicide against mosquito species was evaluated but the active compound that possess a toxic substance against the larval species has to be identified 37. Stress and Depression: Sitaphal is said to be a good source of Vitamin B complex which helps in controlling the GABA neuron chemicals in the brain. This relaxes the mind and helps to calm down stress, tension, irritability and depression 38. During Pregnancy: Sitaphal is helpful in the development of the brain, nervous system and immune system of a fetus. Regular consumption of Sitaphal during pregnancy reduces the chances of miscarriage and minimizes the extent of labour pain during delivery. It is termed by some as the pregnancy wonder fruit that helps in coping with morning sickness, nausea and mood swing. This fruit is very useful for the improvement of the immune system, nervous system and also for the development of the brain in the fetus. It is a good source of copper. Generally pregnant women need to take 1000 µg of copper. Low copper in the body can cause premature birth. So consuming this fruit can be really helpful. It has Vitamin C and Vitamin A which is very useful for the fetus in the womb. It is brilliant for the right growth of eyes, skin, hair and also blood tissues 38. Prevents Ageing: Sitaphal contains L-lysine and L-proline, the amino acids that help to create collagen in the body. Collagen is a substance that provides structure and elasticity of the skin tissues. The high levels of antioxidants in custard apple protect the cell membranes from the free radical damage, allowing the body to fight the signs of ageing. Sitaphal boosts the growth of new cells, making the skin look young. It helps to reverse the discoloration and wrinkles associated with ageing. It also tones and firms the skin stars. Sitaphal is also helpful in increasing the production of breast milk after the childbirth 39. For A Stronger Digestive System: It flushes out the toxins from the intestine, aiding in proper functioning of the bowels. It also prevents stomach related diseases like heartburn, ulcer, gastritis and acidity. This delicious fruit is very effective for treating indigestion. Custard apple in its unripe form is further dried and crushed to treat diarrhea and dysentery. One medium sized custard apple contains 6 grams of dietary fiber, amounting to almost 90% of the recommended amount. Fiber adds bulk to the stools, relieving constipation 38. Anti-hyperlipidemic Activity: This study shows the effect of Polyherbal formulation of Annona squamosa on blood glucose, plasma insulin, tissue lipid profile, and lipidperoxidation in streptozotocin induced diabetic rats. Aqueous extract of Polyherbal formulation of the plant fruit was administered orally (200 mg/kg body weight) for 30 days. The different doses of polyherbal formulation on blood glucose and plasma insulin in diabetic rats were studied and the levels of lipid peroxides and tissue lipids were also estimated in streptozotocin induced diabetic rats. The effects were compared with tolbutamide. Treatment with Polyherbal formulation and tolbutamide resulted in a significant reduction of blood glucose and increase in plasma insulin. Polyherbal formulation also resulted in a significant decrease in tissue lipids and lipid peroxide formation. The decreased lipid peroxides and tissue lipids clearly showed the anti-hyperlipidemic and antiperoxidative effect of polyherbal formulation apart from its antidiabetic effect 40. Anti-head Lice Effect: The present study focused on the separation and identification of the active compounds against head lice from the hexane extract of Annona squamosa seed chromatographic and spectroscopic techniques revealed that two major compounds of the hexane seed extract were oleic acid and triglyceride with one oleate ester. The yields of these compounds were 12.25 % and 7.74 % dry weight respectively. The compounds were tested in-vitro against head lice. The triglyceride, oleate ester and the crude hexane extract diluted with coconut oil. These compounds were found to kill all tested head lice in 49, .11 and 30 min respectively. The triglyceride ester can be used as a marker for quantitative analysis of the active compound for quality control of the raw material plant’s seed and its extract. This first finding will be useful for quality assessment and the chemical stability of the anti-head lice preparation from this plant 41. Insecticidal Activity: The present study investigated insecticidal activity of ethanolic extract of Annana squamosa. The preliminary phytochemical investigation was carried out to identify the various constituents present in the extract. It was found that the plant contain alkaloids, protein, amino acid, carbohydrate, glycosides, phytosterols, tannins and phenolic compounds. The ethanol extract of plant produced significant Knockdown” (KD50) in the concentration 1% w/v and 5% w/v tested 23.1 min and 11.4 min for respectively. The mortality (100%) was achieved at 39.6 ± 1.4 and 14.5 ± 1.1 min for 1% w/v and 5% w/v concentration respectively. No mortality of the insects was found in any of the controls up to 100 hours. The ethanolic extract of plant showed potent activity against Sitophilus oryzae pest. The finding of new insecticidal activity is of great economic importance both from the agronomic and preventive medicine point of view. The reason for using new natural insecticides is that these are active at highly acceptable levels, biodegradable and do not leave toxic residues while the commonly used phosphorous and chlorinated insecticides contaminate the environment 42. Mosquitocidal Activity: The significant activity demonstrated by extracts of Annona squamosa suggests that the two plants may have strong killing effects against insects particularly mosquitoes, hence giving a promising source of larvicidal agents. The EtOAc fractions of plants were the most active achieving 100 to 90% mortality at 50. In order to determine the active principles in the EtOAc fraction further larvicidal testing of the three sub fractions Sq-1, Sq-2, Sq-3, for plant showed a dose dependant (p≥ 0.05) but also significantly a decreased activity from its parent fraction at the same concentration levels. This indicates that, several medium polar compounds in the extract are acting synergistically or competitively at the active sites. Plant collected from Brazil indicated larvicidal effect against Aedesadopictus and C. quinquefascinits and against Anopheles stephensi. Present larvicidal activity result supports the reports and demonstrated that extract of Annona species are potential anti-mosquito agents 43. Pesticidal Activity (Back Text and Semiclone Put): The pure compound annotemoyin-1 isolated from the chloroform extract of the seeds of Annona squamosa Linn. was evaluated for its pesticidal activity against both adults and different instars of Triboliumcastaneum (Herbst) under laboratory condition. The LD50 values of the compound were 579.67, 394.89, 24.10, 612.92, 366.95, 315.18, 636.12, 423.30, 333.67, 684.88, 449.28, 101.68, 742.69, 525.93, 199.41, 792.38, 609.08, 191.70, 827.43, 615.36, 221.13, 920.54, 693.10 and 423.12. These results demonstrated that the earlier instars were more sensitive to the compound than those of late in stars as well as adults 44. Antithyroidic Activity: The methanolic extract of seeds of Annona squamosa Linn. shows ameliorative effect in the regulation of hyperthyroidism in mouse model. Hyperthyroidism produced by L-Thyroxine (L-T4) administration (0.5 mg/kg/d for 12 days, i.p. ), which increased the levels of serum triiodothyronine (T3) and thyroxine (T4), activity of hepatic G-6-Phospatase, 5'-mono- deiodinase (5'DI) and peroxidation (LPO) with a parallel decrease in superoxide dismutase (SOD) and catalase (CAT) activities. However, simultaneous administration of the Annona seed extract (200 mg/kg) to L-T4 induced hyperthyroid animals for 10 days reversed all these effects indicating their potential in the regulation of hyperthyroidism. Further, the seed extract did not increase, but decreased the hepatic LPO suggesting its safe and anti-peroxidative nature 45. TABLE 1: CHEMICAL CONSTITUENTS PRESENT IN DIFFERENT PART OF PLANT ANNONA SQUAMOSA LINN. Molluscicidal Activity: In search for plant molluscicides for the vector control of schistosomiasis, ethanolic extracts from Annona squamosa Linn. root was evaluated against adult forms and egg masses of Biomphalariaglabrata. Results from accurate experiments indicate that the analyzed extracts possess properties lethal to Biomphalaria glabrata 46. The molluscicidal activity of leaves, bark and seed of Annona squamosa against the snail Lymnaea acuminata was studied. The toxicity of powder from leaves, bark, and seed of custard apple against the snail was time and dose-dependent. After 24 h the toxicity of the seed (LC50=377.8 mg/l) was higher than that of the leaf (LC50=381 mg/l) and bark (LC50=458 mg/litre). The acetogenins extracted from the seed were highly toxic against the snail (LC50=2 mg/l at 96 h) 47. Anti-plasmodial Activity: The anti-plasmodial activity of methanolic extract of plant Annona squamosa Linn. was tested on chloroquine sensitive strain 3D7 and chloroquine resistant strain Dd2 of P. falciparum. The methanolic extract of A. squamosa leaves showed high anti-plasmodial activity with IC50 values of 2 and 30 μg/ml on 3D7 and Dd2, respectively. While stem bark showed moderate activity with IC50 values of 8.5 and 120 μg/ml on Dd2 48. Vasorelaxant Activity: A cyclic octapeptide, cyclosquamosin B, isolated from the seeds of Annona squamosa Linn. showed a vasorelaxant effect on rat aorta. It showed a slow relaxation activity against norepinephrine (NE)-induced contractions of rat aorta with/without endothelium. It showed inhibition effect on vasocontraction of depolarized aorta with high concentration potassium, but moderately inhibition effect on NE-induced contraction in the presence of nicardipine. These results showed that the vasorelaxant effect by cyclosquamosin B might be attributed mainly to inhibition of calcium influx from extra cellular space through voltage dependent Ca++ channels 49. Anti-platelet Activity: The ent-kauranedi-terpenoids, which are isolated from stem of Annona squamosa Linn. are investigated for anti-platelet activity. The ent-kauranedi-terpenoids ‘ent-Kaur-16-en-19-oic acid’ and ‘16alpha-hydro- 19-al-ent-kauran-17-oic acid’ showed complete inhibitory effects on rabbit platelet aggregation at 200 μM 50. Antifertility Activity: The seed extract of Annona squamosa Linn. was investigated for post coitus antifertility activity. The seed extract of plant Linn shows anti-implantational and abortifacient activities 51. Drug Interactions: Handling the fruit may produce a skin rash in sensitive individuals. There are no interactions documented. Recopies of Sitaphal: To eat this seasonal fruit has several health benefits like enhancing vision, fighting fatigue, treating arthritis/rheumatism and many more. Apart from taking the fruit as such, which is the most common form of intake of the fruit; there are certain preparations which make it more palatable especially for the children. Ice-Cream: Fruit is used in making of ice creams and milk beverages. The fruit is generally eaten out of hand with a spoon or cut into fruit salads. It may be blended with orange juice, lime and cream to make a delicious ice-cream. Juice: Custard Apple (Sitaphal) Powder, which is one of the most enjoyed fruits that cultivate in the latter half of monsoon and rainy seasons. This fruit is soft and juicy and has a sweet taste. Moreover, our Custard Apple is widely used at homes, hotels and restaurants to make salads. Spray dried apple powder is extensively used to make juice, milk shakes, mango flavored yoghurt and in many other applications. Sitaphal Firni: Milk thickened with rice flour is flavoured with custard apple pulp and refrigerated to enhance the flavour and get the perfect consistency. It is served chilled for a fruit lilaceous experience, which is much healthier than regular custards and puddings. Sitaphal Rabdi: Mix saffron, cardamom after shimming almonds, pista in stove. Combine with the pulp of sitaphal and can be served hot or cold. Sitaphal kheer: It is a mixture of cooked rice and sitaphal in specific proportions with added flavor with cardamom. Fuel: The tree is a good source of firewood. Timber: The light yellow sapwood and brownish heartwood are soft, light in weight and weak. Poison: Green fruits, seeds and leaves have effective vermicidal and insecticidal properties. For Pimple-Prone: Consumption of custard apple decreases Skin sebum production, controlling acne and pimples. Mix custard apple paste with lemon juice and use it three times a week to control sebum production. The anti-inflammatory properties of custard apple fight acne and clear the pores to prevent further breakout. Soursop tea is used in traditional me dicine to heal wounds, for soothing knee pain and for reducing mucous in colds and in sinuses 52. Leaves-insecticide (see powder, mixed with leaf juice is used for removing lice from scalp). Seeds- abortifacient. Root-purgative, used in blood dysentery. Fruit-invigorating, sedative to heart, anti-bilious, antiemetic, expectorant. Dried powdered unripe fruits-used for treating ulcers. Ripe fruit made into paste with betel leaves is applied to tumor to hasten suppuration. Leaves, bark, unripe fruit-strongly astringent; used for diarrhoea and dysentery. Natural Detoxifying Agent: Sitaphal is loaded with soluble fiber and antioxidants, making it an excellent laxative. Regular consumption of custard apple helps to get rid of toxins and waste, giving you a healthy and glowing skin. Drinking custard apple juice evens out the skin tone and makes it firm by rejuvenating its appearance. The plant bears some amazing medicinal qualities, like serving as an insecticide, antiovulatory and abortifacient. The seeds (kernels) are not consumed as they are slightly poisonous. Fatty-acid methyl ester of the seed oil meets all of the major biodiesel requirements in the USA. The leaves also provide ingredients used to make dyes, stains, inks, tattoos and mordants. Paste of flesh of this plant or crushed leaves of the plant can be used for local application on ulcers, abscesses and boils. Hyper-thyroidism custard apples are good for those who need to gain weight 53. Cosmetics: Bleaching preparations and other substances for laundry use; cleaning, polishing, scouring and abrasive preparations; soaps, perfumery, essential oils, cosmetics, hair lotions. Sitaphal protects and preserves the cells of the skin, making it more supple and radiant. It renews the skin by preventing it from the oxidative stress. This creamy fruit helps to even out the skin tone and rejuvenates the appearance. The antioxidants also shield the skin from the sun rays, thereby reducing sun damage. Topical application of custard apple pulp can lighten the appearance of dark spots, freckles and other skin imperfections. The fruit penetrates to the deep layers of the skin, transporting the important nutrients into it. Himalaya products like pimple creams, anti-stress massage oil, ayur slim capsules, cold balms, foot care creams, pain massage oils and lots more. Seed Oil for Better Hair Growth: It inhibits scalp inflammation, preventing hair fall. It also facilitates the absorption of nutrients, providing nourishment to the hair. The high amount of iron in custard apple improves blood circulation in the scalp, stimulating the follicles to promote hair growth. This oil has a slight almond-like odor and a very mild, pleasant taste. In tropical countries, the oil is used as normal cooking oil or a salad oil. It is also called sapuyul oil. Shampoos: Mediker, from Marico, pioneered the switch from the traditional lice comb, which is painful to use, to an easy and effective way of treating lice using shampoo. The shampoo contains coconut, Neem and camphor. Mediker anti-lice treatment has transformed lice removal into a painless activity, replacing the traditionally-painful lice comb with a wash-off format. Mediker contains actives such as Neem, camphor and sitaphal extracts 54. CONCLUSION: The edible fruits from the north eastern region of India were investigated for their nutraceutical and therapeutic potential. A thorough nutritional characterization of this fruit demonstrated it as a source of energy, phenolic compounds, natural antioxidants and minerals. It is a major source of ascorbic acid, calcium, phosphorus and other nutrients. The current study explains the nutritional as well as medicinal utility of the fruit which is a rich source of minerals and antioxidants such as phenols and flavonoids. The custard plant is easy to cultivate, free of serious pest and disease, utilized as food or parts of food may provide medical health benefits including the prevention and or treatment of diseases. The bioactive ingredients of the plant that protect or promote health whether delivered from raw fruits, leaves, flowers or processed foods, dietary supplements, extracts, beverages or other products. The ingredients of this plant have tremendous impact on the health care system and may provide medical health benefits including the prevention and or treatment of diseases. Phytoconstituents of the fruit have potential of organic acid, minerals, flavonoids and vitamins can act against allergies, ulcers, tumors, platelet aggregation, and controlling hypertension. Over the centuries, this plant has served as a major source of medicines for treating dysentery, diarrhea and prevention of diseases of mankind. There is an information gap on utilization, development and diversification required for commercial exploitation in Asian and African countries. There is a need to identify and scientific screening for various activities of such useful trees for their utilization in food, beverages and in preparation of phytopharmaceuticals. The demand for this fruit is limited mainly due to lack of awareness on food value of the fruit, its uses and non-availability of organized supply. Therefore it is necessary to established large scale cultivation units where sizable quantities are made available for market promotion. Market promotion should focus mainly to create awareness on quality attributes nutritional value health value multiple uses etc. to introduce a product in the local and overseas markets. Research and development would be an important area to make the product to meet international standards. The plant fruits have played a prominent role in the diet and medicine of human beings, particularly in the tribal and rural areas of the country, for thousands of years. If educated/ uneducated and unemployed youth of this region engage themselves fully in the preparation of quality food and other related products from fruits as a source of income, the threat of unemployment could certainly be minimized. ACKNOWLEDGEMENT: Authors are thankful to Dean and Head, faculty of pharmacy, Integral University, Lucknow, for providing necessary facilities for writing the review article. Authors are also thankful to Central and departmental library of faculty of pharmacy and Integral University Lucknow for providing necessary books and journals. The manuscript number obtained from dean research and development, Integral University is IU/R&D/2017-MCN00017. CONFLICT OF INTEREST: The authors declare no conflicts of interest. The authors alone are responsible for the content and writing of the article. Kirtikar KR and Basu BD: Indian Medicinal Plants, Published by International Distributors, Edition 2, Vol.1, 66-68. The Wealth of India, A Dictionary of India Raw Material and Industrial Products, Second Supplement Series Raw Material, Published and Printed by National Institute of Science Communication and Scientific and Industrial Research, Vol. A-F, 72-73. Morton and Julia: Fruits warm of climate Annona squamosa, 2013; 6: 69. Natural Resources Conservation Service (NRCS), Plants profile Annona squamosa United States Department of Agriculture 2008: 4-17. Germplasm Resources Information Network (GRIN), Taxonomy for Plants. USDA, ARS, National Genetic Resources Program 1997: 7-11. Wunderlin R and Hansen B: Synonyms of Annona squamosa Atlas of Florida Vascular Plants 2008; 24-27. Raj SD, Vennila JJ, Aiyavu C and Selvam P: The heapatoprotective effect of alcoholic extract of Annona squamosa leaves on experimentally induced liver injury in swiss albino mice. International Journal of Integrative Biology 2009; 5(3):182-186. Crane JH, Balerdi CF and Maguire I: Sugar apple growing in the Florida Home Landscape 1994; 4:4-19. Arif M, Kamal M, Jawaid T, Khalid M, Singh K, Kumar A and Ahmad M: Carissa carandas (Karonda): An exotic minor plant fruit with immense value in nutraceutical and pharmaceutical industries Asian Journal of Biomedical and Pharmaceutical Sciences 2016; 6(58): 14-19. Cochrane CB, Nair PK, Melnick SJ, Resek AP and Ramachandran C: Anticancer effects of Annona glabra plant extracts in human leukemia cell lines. Anticancer Research 2008; 28(2A): 965-71. Gonzalez TME, Lopez ML, Reyes RA, Aguillon M and Martinez: A effect of repeated administration of Annona diversifolia extracts and palmitone on rat amygdala kindling. J.pubmed 2009; 16(4): 590-5. Eva M and Gonzalez T: Anticonvulsant effect of Annona diversifolia and Palmitone epilepsia, Blackwell Publishers 2006; 47(11):1810-1817. Ecology and evolutionary biology plant growth facilities. CBS Publishers, Edition 5, 2007: 56-59. Dragona NR: Plants food human nutrition 2010; 65(4): 11130-11133. Oliveira LC, Hankerson SJ, Dietz JM and Raboy BE: Key tree species for the golden-headed lion tamarin and implications for shade-cocoa management in southern Bahia, Brazil, Animal Conservation. 2010: 13-60. Current name: Annona cherimola. Agro Forestry Tree Database. International center for research in agroforestry 2008: 78-95. Morton, Julia F: Wild Custard Apple. New Crops1999: 86-88. Churchill AJ, Bentley R and Trimen H: Medicinal Plants London Publishers Vol. I-IV, 1880: 158-196. Pandya N: Pharmacological and phytochemical review on Annona squamosa. 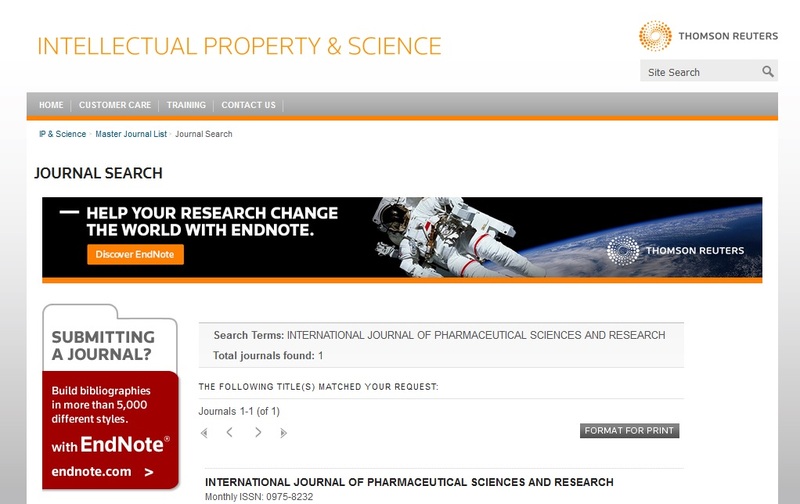 International Journal of Research in Pharma and Bio Medical Sciences 2011; 2(4): 1404-1414. Patel, Jayshree D and Kumar V: Annona squamosa phytochemical analysis and antimicrobial screening, Journal of Pharmacy Research 2008; 1(1): 34-38. 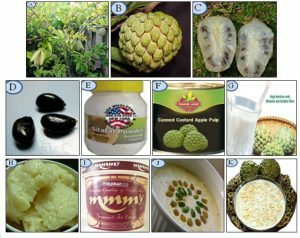 Pandey N and Barve D: Phytochemical and Pharmacological Review on Annona squamosa International Journal of Research in Pharma and Biomedical Science 2011; 2(4): 2229-3701. Perez AMC, González EA, Morales MC and Toriz F: Oxoaporphine alkaloids in guatteriadiospyroides baill and Annona squamosa (Annonaceae). International Journal of Experimental Botany 2004; 53(4): 53-55. Li XH, Hui YH and Rupprecht JK: Bullatacinone and squamone, A new acetogenin from the bark of Annona squamosa. Journal of Natural Products 1990; 53(1): 81-86. Yu JG, Luo XZ, Sun L, Li DY, Huang WH and Liu CY: Chemical constituents from the seeds of Annona squamosa 2005; 40(2): 153-8. Yang TH and Chen CM: Journal of the Chinese Chemical Society 1970; 17(4): 243. 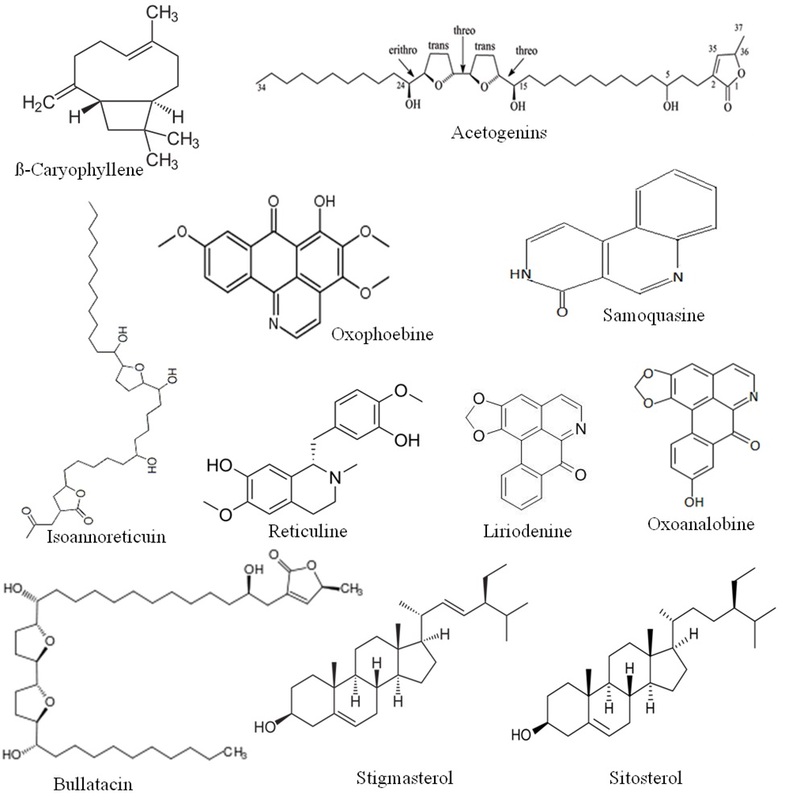 Ranjan R and Sahai M: Coumarinolignans from the seeds of Annona Squamosa E-Journal of Chemistry 2009; 6(2): 518-522. 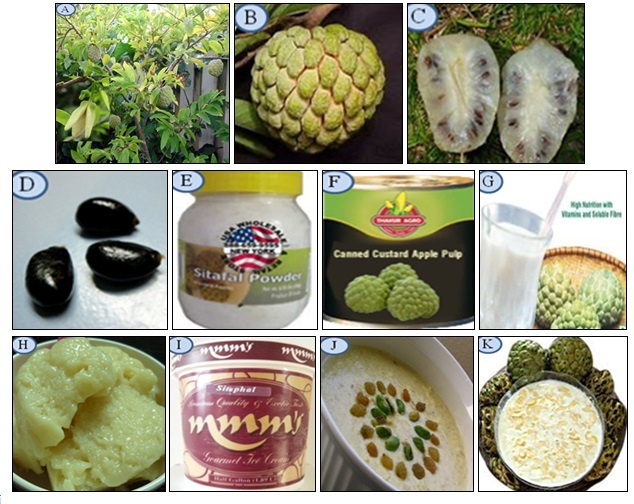 Rahman MM, Parvin S, Haque ME, Islam ME and Mosaddik MA: Antimicrobial and cytotoxic constituents from the seeds of Annona squamosa Fitoterapia 2005; 76: 484-489. Gupta RK, Kesari AN, Murthy PS, Chandra R, Tandon V and Watal G: Journal of Ethnopharmacolgy 2005; 99(1): 75-81. Gupta RK, Kesari AN, Murthy PS, Chandra R, Tandon V and Watal G: Hypoglycemic and antidiabetic effect of ethanolic extract of leaves of Annona squamosa in experimental animals. Journal of Ethnopharmacology 2005; 99: 75-81. Yadav DK and Singh N: Anti-ulcer constituents of Annona squamosa twigs, Epub 2011. Shenoy C, Patil MB Patil and Kumar R: Antibacterial and wound healing activity of the leaves of Annona squamosa. 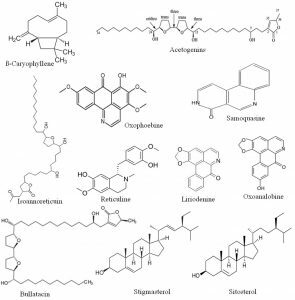 Research Journal of Pharmacognosy and phytochemistry 2009; 1(1). Singh S: Pharmacological screening of combined extract of Annona squamosa and Nigella sativa. International Journal of Pharma and Bio Sciences, 2,2, april/june 2011. Jayshree: Annona squamosa phytochemical analysis and antimicrobial screening. Journal of Pharmacy Research 2008; 1(1). Padhi LP: In-vitro evaluation of antibacterial potential of Annona squamosa and Annona reticulate from Similipal Biosphere Reserve, Orissa, India. Journal Agricultural Teachnology 7(1): 133-142. Mujeeb M, Khan SA, Ali M, Mall A and Ahmad A: Antidiabetic activity of the aqueous extract of Annona squamosa in streptozotocin induced hyperglycemic rats. The Pharma Research 2009; 2: 59-63. Kaushik R and Saini P: Screening of some semi-arid region plants for larvicidal activity against Aedes aegypti Journal of Vector Borne Disease 2009; 46: 244-246. Kaur R, Kaur K, Kaur P and Singh I: Sitaphal unexplored therapeutic potential. Asian Journal of Research in Chemistry and Pharmaceutical Sciences 2015; 3(4): 129- 141. Vohora SB, Kumar I and Naqvi S: Phytochemical, pharmacological, antibacterial and anti-ovulatory studies on Annona squamosa. Planta Medica 1975; 28(1): 97-100. Singh S, Manvi FV, Nanjwade B, Nema KR: Antihyperlipidemic Screening of polyherbal formulation of Annona squamosa and Nigella sativa. International journal of Toxicological and Pharmacological Research 2010; 2(1): 1-5. Tiangda C, Gritsanapan W, Sookvanichship N and Limchalearn A: Anti-head lice effect of Annona squamosa seeds extract. Southeast Asian Journal of Tropical Medicine and Public Health 2000; 31(1):174-177. Kumar AJ, Rekha T, Devi SS, Khannan M, Jaswanth A and Gopal V: Insecticidal activity of ethanolic extract of Annona squamosa. Journal of Chemical and Pharmaceutical Research 2010; 2(5): 177- 180. Magadula JJ, Innocent E and Otieno NJ: Mosquito larvicidal and cytotoxic activities of 3 Annona species and isolation of active principles. Journal of Medicinal Plant Research 2009; 3(9): 674-680. Haque EM, Rahman MM, Islam EM and Parvin SM: Pesticidal activity of pure compound annotemoyin-1 isolated from chloroform extract of the plant Annona squamosa Against Tribolium castaneum (Herbst). Pakistan Journal of Biological Sciences 2003; 6(12): 1088-1091. Panda S and Kar A: Phytomedicine. 2007; 14(12): 799-805. Santos AF and Santana AE: Phytomedicine. 2001; 8(2): 115-20. Mrita S and Singh DK: Journal of Herbs, Spices and Medicinal Plants 2001; 8(1): 23-29. Ahir A, Satti GM and Khalid SA: Journal of Ethnopharmacology 1999; 64(3): 227-33. Morita H, Iizuka T, Choo CY, Chan KL, Takeya K and Kobayashi J: Bioorg Medicinal Chemistry Letterateur 2006; 16(17): 4609-11. Yang YL, Chang FR, Wu CC, Wang WY and Wu YC: Journal of Natural Products 2002; 65(10): 1462-7. Mishar A, Dogra JV, Singh JN and Jha OP: Planta Medica 1979; 35(3): 283-285. Fabricant DS and Farnsworth NR: The value of plants used in traditional medicine for drug discovery, Environmental Health Perspectives 2001; 1(109): 69-79. Singh S: Pharmacological screening of combined extract of Annona squamosa and Nigella sativa. 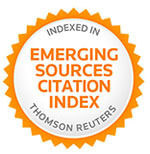 International Journal of Pharma and Bio Sciences 2011; 2(2): 1183-1189. Junya I, Warinthorn C and Wandee G: Anti-head lice effect of Annona squamosa seeds, Southeast Asian Journal of Tropical Medicinal Public Health 2006; 37(3): 532-535. Bhakuni DS, Shobha T and Dhar MM: Phytochemistry, 1972; 11(5): 1819-1822. Yang TH and Chen CM: Journal of Chinese Chemical Society 1970; 17(4): 243. Morita H, Sato Y, Chan KL, Choo CY, Itokawa H, Takeya K and Kobayashi J: Journal of Natural Products 2000; 63(12): 1707-8. Yang Y, Chang F and Wu Y: Helvetica Chimica Acta 2004; 87(6): 1392-1399. Morita H, Iizuka T, Choo CY, Chan KL, Takeya K and Kobayashi J: Bioorg Medicinal Chemistry Litterateur 2006; 16(17): 4609-11. Morita H, Sato Y and Kobayashi J: Tetrahedron 1999; (55): 7509-7518. Yang YL, Hua KF, Chuang PH, Wu SH, Wu KY, Chang FR and Wu YC: ASAP Journal of Agricalture and Food Chemistry 2007. Jianga RW, Lu Y, Minb ZD and Zhenga QT: Journal of Molecular Structure, 2003; 655(1): 157-162. Li CM, Tan NH, Mu Q, Zheng HL, Hao XJ, Wu Y and Zhou J: Phytochemistry, 1997; 45(3): 521-523. Lieb F, Nonfon M, Neumann VW and Wendisch D: Planta Medica 1990; (56): 317. Mc CG, Smith DL, Chang CJ and Cassady JM, Experientia 1987; (43): 947. Fujimoto Y, Eguchi T, Kakinuma K, Ikekawa N, Sahai M and Guptha YK: Chem. Pharm. Bull, 1988; (36): 4802. Araya H, Sahai M, Singh S, Singh AK, Yoshida M, Hara N and Fujimoto Y: Phytochemistry, 2002; 61(8): 999-1004. Li XH, Hui YH, Rupprecht JK, Liu YM, Wood KV, Smith DL, Chang CJ and McLaughlin JL: Journal of Natural Products 1990; 53(1): 81-6. Hopp DC, Alali FQ, Gu ZM and McLaughlin JL: Phytochemistry 1998; 47(5): 803-9. Hopp DC, Zeng L, Gu ZM, Kozlowski JF and McLaughlin JL: Journal of Natural Products 1997; 60(6): 581-6. Hopp DC, Zeng L, Gu Z and McLaughlin JL: Journal of Natural Products 1996; 59(2): 97-9. Hopp DC, Alali FQ, Gu ZM and McLaughlin JL: Bioorg Medicinal Chemistry 1998. Bhadra S and Sen SK: Environment and Ecology 2002; 17(3): 710-713. Yang R, Zheng X, Xie H, Wu S and Wei X: Acta Botanica Yunnanica 1999; 21(3): 381-385. Born L, Lieb F, Lorentzen JP, Moeschler H, Nonfon M, Söllner R and Wendisch D: Planta Med. 1990; 56(3): 312-316. Gypser A, Bulow C and Scharf HD: Tetrahedron 1995: (51): 1921. Araya CH, Hara N, Fujimoto Y and Sahai M: Chem. Pharm. Bull. 1994; (42): 388. Zheng CCV, Yang RZ, Qin GW, Yu RS and Fan DJ: Acta Botanica Sinica 1994; (36): 809. Rahmana MM, Parvina S, Haquea ME, Islama ME and Mosaddikb MA: Fitoterapia 2005; 76(5): 484-489. Yang RZ, Zheng XC, Quin GW and Xu RS: Acta Botanica Sinica 1994; (36): 809. Zahid M, Mujahid M, Singh PK, Farooqui S, Singh K, Parveen S and Arif M: Annona squamosa Linn. (custard apple): an aromatic medicinal plant fruit with immense nutraceutical and therapeutic potentials. Int J Pharm Sci Res 2018; 9(5): 1745-59.doi:10.13040/IJPSR. 0975-8232.9(5).1745-59. Authors Address: Faculty of Pharmacy, Integral University, Lucknow, Uttar Pradesh, India.